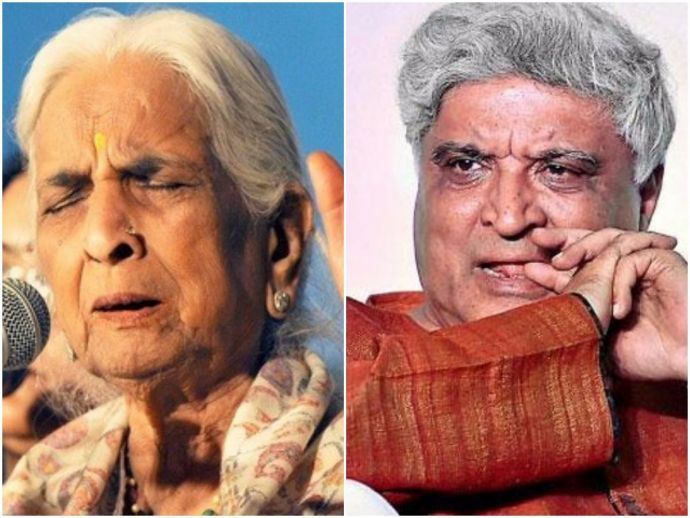 Girija Devi and Pandit Jasraj were scheduled to share the stage at the MTV India Music Summit 2017 in Jaipur. Spellchecker and autocorrect can put you in a major trouble sometimes. 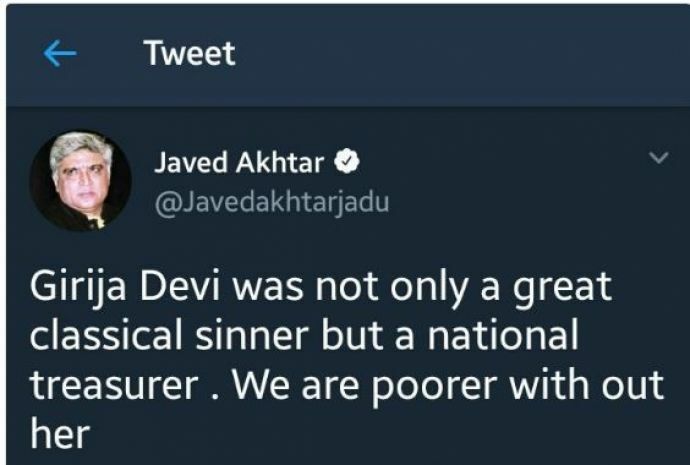 Recently when veteran thumri artist Girija Devi passed away, Javed Akhtar took to Twitter to pay his condolence. But little did he know that he would be trolled for a tweet that went wrong due to autocorrect! Akhtar apologised as soon as he realised his mistake!